Imagine a place where ice cream never drips. Ice cream lovers, how far would you be willing to go to avoid that heartbreaking moment where your delectable treat ends up as a puddle in the dirt? Would you be prepared to leave Earth? 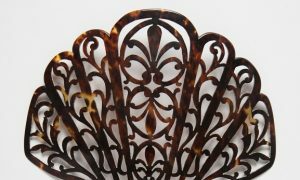 “If you’re eating an ice cream cone on a hot day ice cream drips along the cone and down your hand. 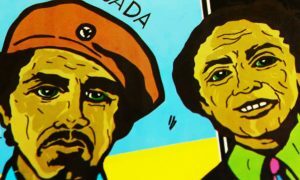 It wouldn’t necessarily work that way in space,” explains Jennifer Levasseur, curator at the Smithsonian’s National Air and Space Museum. 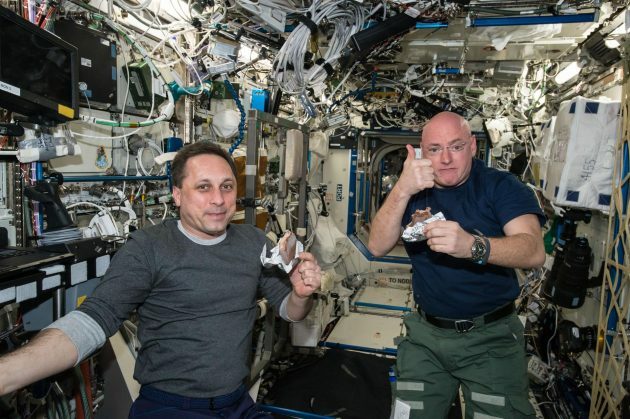 The stable temperature and microgravity of a space station makes it a perfect place to eat the frozen treat, if you can fly a refrigerator up there. “Ice cream itself is actually pretty ideal for space. The temperature aboard the space station is kept at around 75 degrees [Fahrenheit], and so you could imagine it might take longer for it to melt there than if you were eating it outside on a hot day,” Levasseur says. 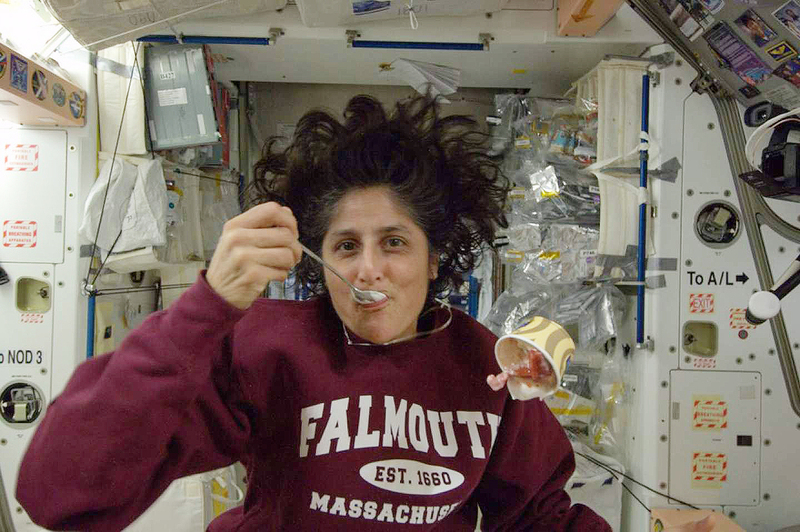 Astronaut Sunita Williams tweeted this photo of herself from October 2012 aboard the International Space Station enjoying a cup of ice cream. And even if it does melt, the same forces that bind liquid molecules to each other and allow insects, like water striders, to float and stride on a water surface on Earth will keep ice cream in place in space. “A container of ice cream sticks together very well. Thanks to surface tension and low gravity, what’s in the container it isn’t going to just drop or fly away,” Levasseur explains. Ice cream’s natural ability to stick together is vital as a space treat. Crumbly items like bread can be life-threatening in space. Bread has been discouraged in space since the 1965 Gemini 3 mission when an astronaut smuggled a corned-beef sandwich aboard in his spacesuit. Crumbs flew everywhere in microgravity and could have floated into the astronauts’ eyes or into electrical panels, where they could have caused problems. 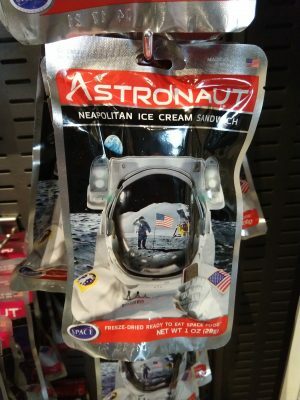 Freeze-dried ready-to-eat ice cream has long been a popular item sold in the museum shop of the Smithsonian’s National Air and Space Museum. This is one reason why the famous crumbly, chalky, freeze-dried astronaut ice cream that children devour on Earth is not actually eaten in space. Although astronaut ice cream was originally developed under contract to NASA for the 1968 Apollo 7 mission, there are scarce details on whether it actually flew on its supposed one and only mission to space. Astronauts were not able to get their Neapolitan fix until much later with the inclusion of freezers on International Space Station resupply missions in 2006. Stored among fresh fruits and vegetables, more common treats in space, real ice cream must be eaten soon after arrival. Freezer space is earmarked for scientific samples to return to Earth so an immediate ice cream party is needed, minus the sprinkles of course.